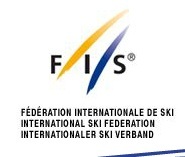 The Alpine World Championships will begin a 13 day run in Schladming, Austria. Competition begins February 5 with the women’s Super G. Vonn will be competing in the Super G, as well as the combined and downhill events. Vonn is reported to be sporting “bodyguards” when she travels and competes. Red Bull assigned bodyguards because “Her personal life is intensifying”. There has even been some online chatter about a “relationship” Vonn and Tiger Woods share. Alpine Skiing is the number one sport in Austria, so organizers are expecting thousands of fans to pack Schladming every day of the event. Athletes representing 72 nations have entered the competition. The Universal Sports Network will have live online coverage of the events beginning February 5, 2013.